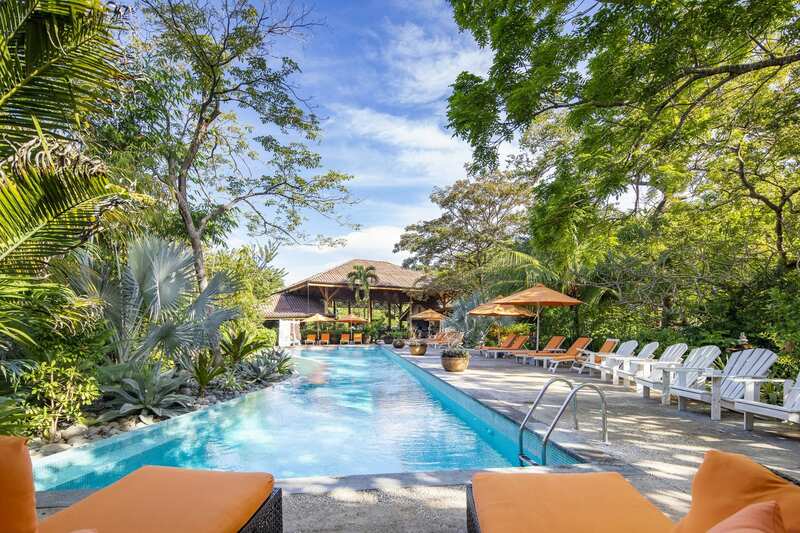 Nourish your mind, body and soul on this unforgettable journey to Bodhi Tree Yoga Resort in Nosara, Costa Rica. Treat yourself to 7 nights and days of reflection and relaxation at this beautiful jungle sanctuary. Bodhi Tree opened its doors in 2014 and offers high-end accommodations with exceptional food, yoga studios and spa services. Located in only one of five areas of the world that is considered a Blue Zone (area where people live the longest and report the highest levels of well-being), Bodhi Tree will be our setting for healing, connection, rejuvenation… and of course great yoga! It is recommended to fly into Liberia International Airport. There is also the option to fly into San Jose International Airport, however it is a much longer drive to Bodhi Tree from this airport. You will need a current passport for your trip that remains valid for at least six months after your travel date to Costa Rica. How do I get to Bodhi Tree from the airport? Bodhi Tree group shuttles run on Saturdays (the arrival and departure days of the trip) to and from Liberia International Airport. It is a scenic 2.5 hour drive (the destination is worth it!). The cost is estimated at $40 per person each way. The Bodhi Tree Yoga Resort was designed to flow with nature. You can begin your day with a cool-down in your outdoor shower or a dip in the salt-water infinity pool at sunrise. Soothing fountains and waterfalls guide you through the local fauna on your way to your bungalow. Open the door to find a star-lit shower, luxurious cotton sheets and a canopied bed that promises a well-deserved rest. All bungalows have air-conditioning, free Wi-Fi and modern amenities abound. Security staff is available 24 hours a day and housekeeping staff will keep your room looking as beautiful as the first day you arrive. We have limited space and certain rooms available that can be found on our Reserve Your Spot! page. Please take time to browse www.bodhitreeyogaresort.com for tons of additional information regarding the accommodations, spa offerings and activity options. And feel free to email Brooke at brooke.cline@gmail.com or Mara at maralcampbell@yahoo.com for additional information. Room options (cost is per person). See more pictures and descriptions of each room type at https://bodhitreeyogaresort.com/stay/rooms. A $500 deposit will reserve your spot. We have limited space so be sure to reserve soon! Checks and cash are accepted. Please contact Mara or Brooke for more details. Once we receive your deposit, you will receive a questionnaire so we can be sure your dietary and physical needs are accommodated. The remaining balance will be due by November 20, 2019. Please contact us if you would like a shared room but don’t have a roommate. There may be other people that also need a roommate! No refunds will be given on the balance due if cancellation occurs less than 60 days prior to the retreat. ﻿﻿Mara turned to restorative yoga back in 1998 to help her manage the stress of being an elementary school teacher. She found that the more she gave to yoga, the more it gave back physically and spiritually. After many classes, workshops and teacher trainings, she became certified in 2007 and now holds her E-RYT certification. In 2013, Mara developed the Emerald Heart School of Yoga, with her own curriculum. She has now trained, mentored and certified over 30 yoga instructors as the lead director of the school. Mara loves the heart opening, life affirming practice of Anusara yoga, which literally means, “stepping into the flow of grace.” She also embraces a Vinyasa Flow style in her teaching, allowing the mind to quiet by connecting to breath, body and heart. She sequences her classes in a thoughtful manner, encouraging everyone feel empowered, safe and connected as they move through their practice. Mara was an elementary school teacher, college faculty and educational consultant for 15 years but now channels her energies to the teaching the healing energies of yoga. Originally from Madison, Wisconsin, she now calls Mundelein her home. 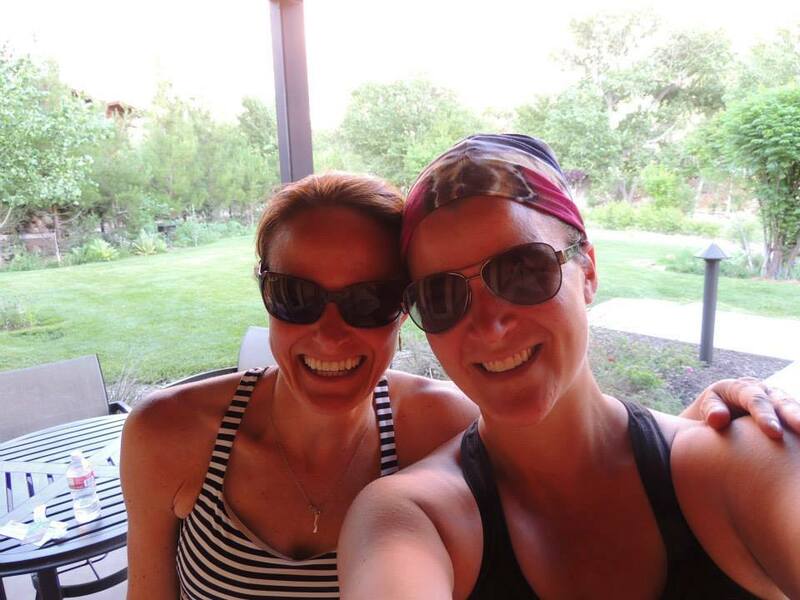 Brooke fell in love with yoga 12 years ago when she first started practicing out of necessity in order to relieve back pain from a herniated disc while pregnant with her first child. Not only was she able to eliminate her back pain while other methods failed, but she quickly learned that there was a lot more going on then just the physical practice. With yoga, she was able to take time for herself and really focus on the connection between her mind, body and spirit. Over the years, Brooke found that being on the mat was some of the only time she had to decompress while working in a stressful job environment and raising her two young children. Her long struggle with panic attacks and anxiety began to disappear with a regular yoga practice. It had been such an incredible gift and necessity in her life that she decided she wanted to learn as much about yoga as she could. Brooke completed her 200 hour certification through Wendy Dahl of Blue Sun Yoga and she is a Registered Yoga Teacher with the Yoga Alliance. She continues to expand her knowledge and find inspiration through many workshops and classes from various teachers and styles of yoga. Her intention as a yoga teacher is to help share the healing effects of yoga with others. Ultimately she realizes she is simply a guide for her students to find their own practice and do what speaks to them. Brooke’s biggest joy is spending time with her family. She also loves hanging out with friends, seeing live music, reading and spending time outside.